As the countdown to the 10th Anniversary issue cover reveal continues, we’re excited to share a few more sneak peeks from the all-new Spring/Summer 2017 issue! We always love to see what personal touches brides put into their big day, and you’ll find tons of these fabulous details throughout the glossies. 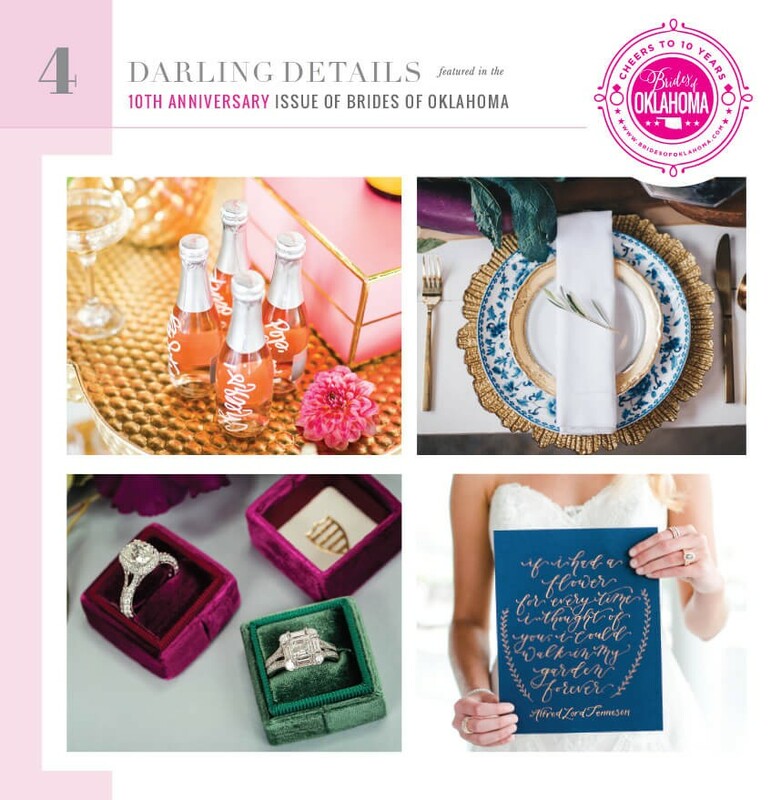 Enjoy these four darling details, and as you’re flipping through the pages of the new mag be sure to flag your own favorites to incorporate into your wedding! Can’t wait to get your hands on the new issue? Pre-order your copy today and in honor of our cover reveal, you’ll get free shipping on your order of two or more mags, and this special new issue will be delivered right to your doorstep before you can even grab a copy in stores! Cheers and stay tuned as we continue our countdown next week!